While not all of Amazon Canada’s new suite of Echo devices are making their way to Canada, contrary to past years, a number of them actually are. Amazon’s 3rd-generation Echo Dot and 2nd-generation Echo Plus are now available in Canada for $69 CAD and $199, respectively. 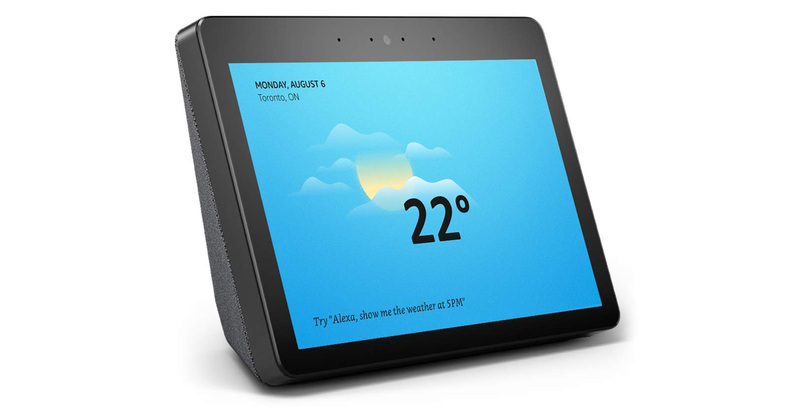 Further, the Echo Show, which launched in the United States last year, is now available in Canada for $299. This is the 2nd-generation version of Amazon’s voice-activated assistant device that features a built-in display. A new device announced earlier this month, the Echo Sub, a 100w external subwoofer that adds extra base to an Alexa-powered speaker setup, is also now available in Canada for $169 CAD. We’ll have more about Amazon’s new Echo devices on MobileSyrup in the coming days.